The roots of Grandmaster Yin's Kung Fu in Milwaukee can be traced back to as early as 1972. In 1972, a student of Grandmaster Yin's, Hwang Shie-Ming, was completing his studies at a local University and began teaching Chinese martial arts in the area. Classes were held in various locations and over the next 6 years his school began to grow. During this period, Grandmaster Yin, originally from Shandong, China, but living in Taiwan, began to spend time in Salt Lake City and made several visits to Milwaukee to help in the instruction of the students there. 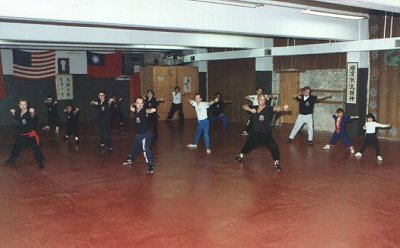 In 1978, the decision to establish a permanent location was made and the Chinese Martial Arts Center was born. After several months of remodeling and informal classes, the school was officially opened in 1979. Grandmaster Yin and his student, Master Hwang, taught classes at the new school. Shortly afterwards the school was renamed the Chinese Kung Fu Center with Grandmaster Yin remaining and leading the school until his death in 1988. Grandmaster Yin was not only a skilled practitioner of Kung Fu and a General in pre-Communist China, but also an experienced teacher who earlier had founded his own school in Taiwan and authored a number of books on traditional Chinese martial arts. Grandmaster Yin taught in a very traditional manner and stressed honor and self-discipline as well as physical prowess. 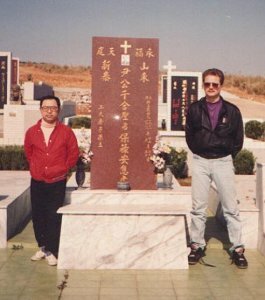 Grandmaster Chian Ho Yin's grave in Taiwan, 1993. Chinese Kung Fu Center head instructor Jeff Nickel is at right. Upon Grandmaster Yin's death, several senior students carried on his tradition of educating body, mind and spirit. 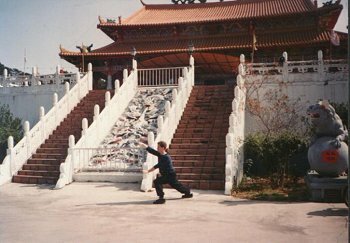 Instructors and students also kept in touch with his school in Taiwan and, on several occasions, traveled there to learn and practice with some of Grandmaster Yin's most advanced students. Grandmaster Yin's students in Milwaukee also kept in touch with Master Cheng Tsang Lu, one of Grandmaster Yin's most senior students from his school in Taiwan who founded his own school in Salt Lake City, Lu Health Center. 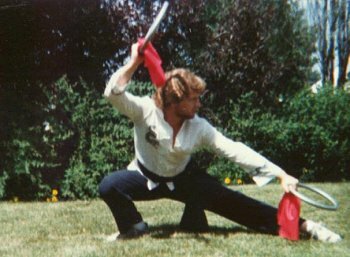 Head instructor Jeff Nickel began studying with Grandmaster Yin in 1981. 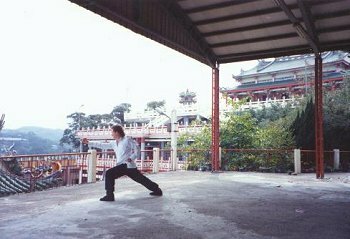 He teaches classes in Shao Lin and Tai Chi as well as additional styles and weapons forms available to intermediate and advanced students. Senior members of our advanced class assist in teaching beginning and intermediate students, carrying on a martial arts tradition. 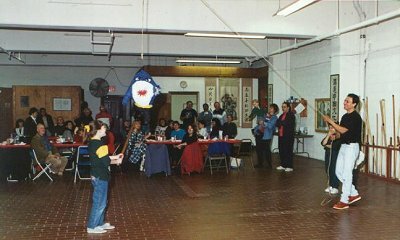 Just as we continue Grandmaster Yin's traditions of teaching, we honor his memory twice a year with special school-wide parties. In December, we celebrate his birthday. In June, we mark the anniversary of his passing. On both occasions, Tai Chi and Shao Lin students come together to perform the variety of styles Grandmaster Yin handed down to us. We feel honored to carry on the ancient martial arts traditions brought to us from China by Grandmaster Yin, and we hope you will join us! Students begin their study with a solid foundation in basic skills and stances. School-wide parties, held twice a year, bring students together to share in the camaraderie Grandmaster Yin encouraged.